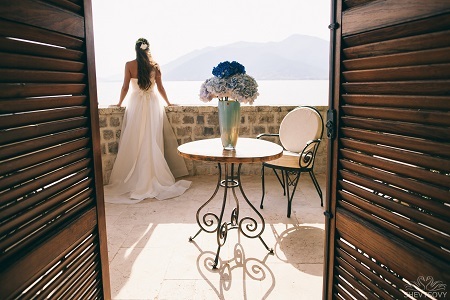 A destination wedding can turn into a genuine fairy tale. Getting married to your soulmate in an exotic and exquisite setting is a once-in-a-lifetime experience. Choose a place you and your fiancé have always wanted to visit and make it your own. Let your imagination run free. Your destination can be a lush, white beach; a beautiful winery, or a romantic city. Think Paris in the springtime. For possible wedding destination inspiration, check out wedding destination and type in the locations that get your excited. There are so many possibilities. It is very likely that a destination wedding will limit your guest list. If you feel there might be some bruised feelings by those left behind, plan a big post-wedding bash when you get back home. You can laze at the beach, sip a few rum cocktails, kick back, and get caught up with college and childhood friends. Planning for your destination wedding should start early, at least a year before the actual wedding date. Not only is there a tremendous amount of work to be done, but your guests will likely need to plan for days off from work or use their vacation days. They deserve as much notice as possible, especially since they are paying for transportation and hotel. For a destination wedding, you will either you need either a local wedding planner, an all-inclusive wedding package, or both. Many resorts with wedding packages also provide airline mileage points or hotel discounts for the future that can save you money in the long run. Before deciding on your ultimate wedding destination, think of your guests. They will be spending several days at the location. Make sure there is plenty for them to do and see. One of the advantages of a destination wedding is that everyone has the opportunity to spend some free time together and get re-acquainted with old friends and loved ones. You can laze at the beach, sip a few rum cocktails, kick back, and get caught up with college and childhood friends. When deciding on just the right place, keep the weather in mind. Florida is a very popular wedding destination; however, you might want to avoid the late-summer/fall hurricane season. Also consider the cost. 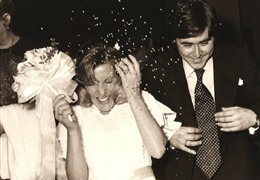 New York City is another popular destination, but it is also one of the most expensive cities in which to get married. 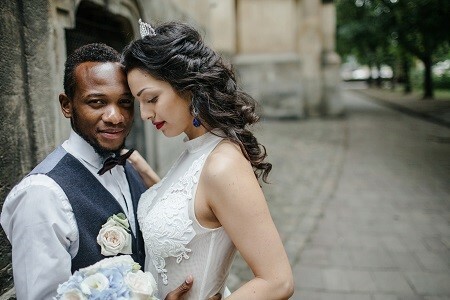 You can spend time researching local marriage requirements (and you may still miss some critical criteria), or you can begin your planning by hiring a local wedding planner who is familiar with all local needs and customs, not to mention the local language. For example, Paris is definitely romantic, but France has a residency requirement for marriages. A wedding planner can help you sort through the details and avoid unpleasant surprises. If at all possible, it’s a good idea for you and your fiancé to visit your destination prior to making plans. Your guests will need a lot of information, such as hotel, flights, events, etc. Keep everyone up-to-date by posting all needed updates and news. 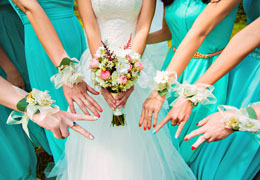 Unless your wedding destination is nearby, you really need a wedding planner to coordinate the details of your wedding. This person can hire and deal with all local vendors, such as caterers, photographers, and florists. Most resorts that offer all-inclusive wedding packages include an on-site wedding planner. An on-site wedding planner may only deal with the venue and meals, but won’t hire photographers or beauticians. Make sure you know exactly what your wedding planner will and will not do. If necessary, you can have the onsite wedding coordinator handle the venue, catering, and decorations while a second wedding planner hires the photographer, beautician, DJ, or officiant. If you are not using a resort with an all-inclusive wedding package, your wedding planner will have to handle all vendors, including wedding venue, caterer, flowers, etc. He or she should also be able to provide a list of local activities and available local transportation for your guests. Communicate regularly with your wedding planner to ensure that what is being promised is actually being done. Don’t hesitate to request details and ask about backup plans. Set the wedding date as soon as possible to give guests a chance to respond and act. You will need a head count before you can do much else. Some guests may want you to book flights, while others want to use their own airline mileage points. Request that they provide you with this information, either by email or via your wedding site. Also, some guests may want to make their own hotel arrangements, while others will be happy for you to reserve a block of rooms for the wedding party. There are lots of details involved in a destination wedding. To keep you on track, here are some ideas for invitations, bridal party gifts, and decorations. Once you know how many people will need accommodations, you are ready to reserve a block of hotel rooms. If you have a maid of honor or mother looking to help with the arrangements, this is the job to give her. There are two ways to make these hotel reservations. Closed Blocks:For these block of rooms, a hotel will want a deposit because it guarantees availability. If the rooms are not booked, you will be responsible for the cost. Since people can be unreliable (yes, even your beloved family) and since emergencies do happen, guaranteeing for a block of hotel rooms is only a good idea if the venue is the only available one nearby, such as in a small town, and likely to book up quickly. Open Blocks:This type of room block does not hold you financially responsible for unbooked rooms. They usually simply request that rooms are books by a specified date. It’s a great idea to give your guests a choice of at least two hotels, ranging from budget to luxury. This way, the price will be less of a financial strain. Another good idea is to look into renting from Airbnb. The price of a house or multi-bedroom apartment will be considerably less than a hotel. If you can arrange for hotels rooms near your wedding venue and close to local attractions, your guests are sure to appreciate it. Also, it’s good to book a variety of different types of rooms, singles for singles, doubles for couples, suites for families. Don’t be afraid to negotiate on the price or ask for extras. For a large group of people, many hotels will throw in a free breakfast, free shuttle service, or welcome bags filled with goodies. Especially in a city with plenty of accommodations, you have lots of negotiating power. Use it. The best part of a destination wedding is that you’re already in a fabulous place. The best part of a destination wedding is that you’re already in a fabulous place. Once your guests leave, you can arrange to spend your honeymoon there without incurring extra travel expenses. In addition to hotel information and local activities, your guests will undoubtedly be interested in local shopping and beauty salons (unless you are arranging for spa treatments), pharmacies and dry cleaners. All of this useful information can be posted on your wedding website. The more regularly you post, the less you will be inundated with questions from your guests. Your guests will be anxious to explore the sights. Fill in the destination information for all the exciting events and happenings at your location. Let them turn your destination wedding into their own mini-vacation. If a large number of your guests are departing from the same city, check with some airlines about discounted group rates. Pack your wedding dress and the groom’s tuxedo in a garment bag. It’s best to carry these on the plane instead of risking your wedding attire getting lost. Before you leave, check if your hotel has a dry cleaning service to iron out any wrinkles. Keep your wedding rings secured with you and make sure they are insured. A destination wedding involves dozens of details. Take a look at the following ideas to make sure everything is going smoothly and under control. 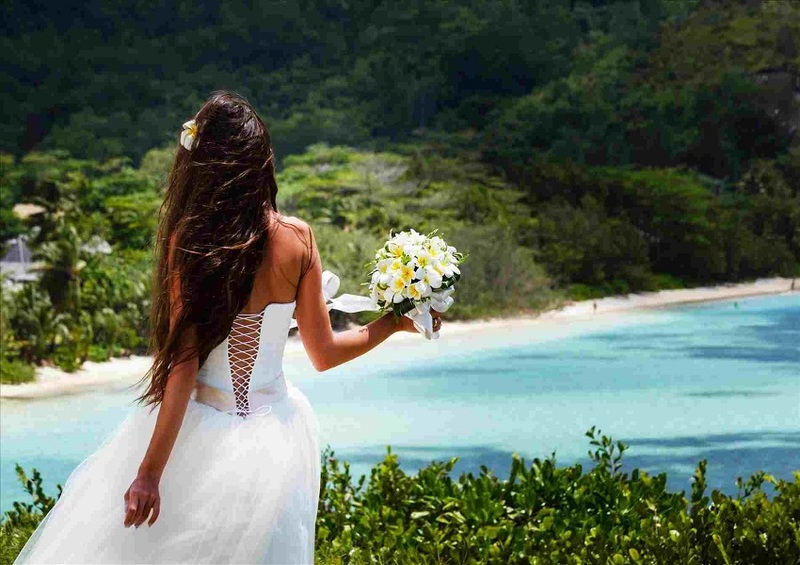 Destination weddings can be the trip of a lifetime. They are also expensive for everyone. If someone you love is struggling financially, offer to pay for their accommodations and flight. It’s a generous gesture that will be appreciated, especially by a young person just starting out or a grandparent on a fixed income.